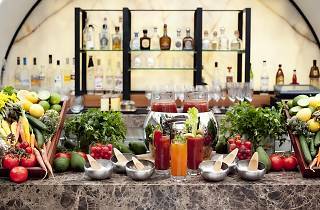 Photograph: Courtesy Andrea Gómez Romero Bloody Mary Bar. 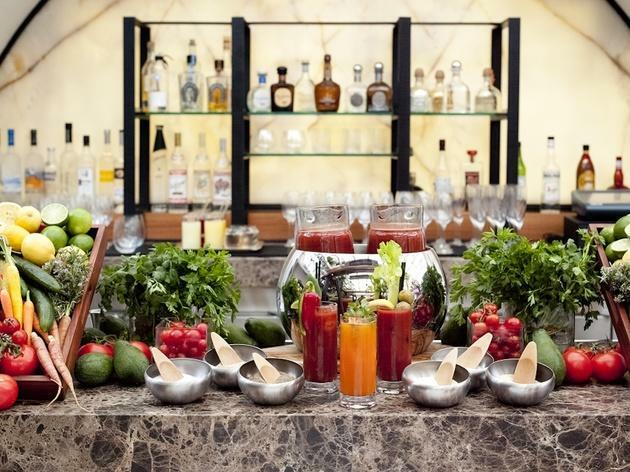 Dine like an A-lister for Easter Brunch at Wolfgang Puck at Hotel Bel Air. The special holiday prix-fixe menu includes a soft French style omelet with wild mushrooms, gruyère, confit bacon, cipollini onions and fingerling potatoes, and The H.B.A “Benedict” with poached organic eggs on a white cheddar biscuit with maple hollandaise. Youngsters will be throughly entertained with a special Easter egg hunt on the front lawn. Salivate over the full menu online here.